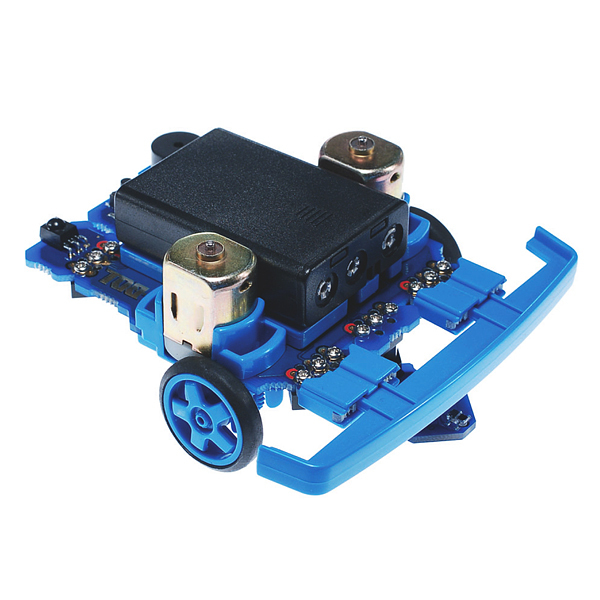 The BOT120 PICAXE 20x2 Microbot is a simple to assemble kit that uses a unique design which requires no soldering of wires to build and/or reconfigure a versatile robot. At the heart of the Microbot is a motherboard which contains a powerful PICAXE 20x2 microcontroller which can be programmed using flowcharts, the 'Logicator for PICAXE' software, or in the PICAXE BASIC language. The Microbot can be programmed on Windows, Linux, and Mac systems. Check out page 3 of the manual below to see what all is included. Why can't they include the stupid programming cable?